Mission, Vision and Short History of Helicopter Links. Helicopter Links purpose is to help buyers and sellers in the helicopter industry to connect online for the mutual benefit of transacting business. To provide a resource for anyone seeking helicopter manufacturers (and gyrocopter manufacturers) and helicopter companies, suppliers, services, events, publications, museums, organizations, research and testing centers and more. 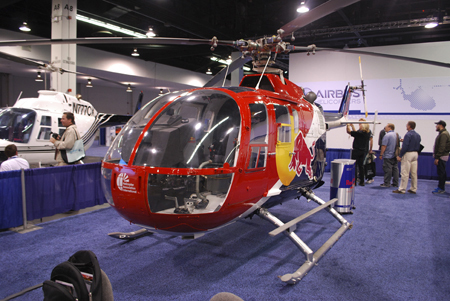 Helicopter Links envisions continued additions of helicopter related companies, organizations and events to its site. To check for outdated sites and update as necessary. We plan to add more new categories as time moves forward. When new technologies and the helicopter industry changes, we are willing to reflect this by adding new categories to our site. To keep our site easy-to-navigate, technically correct and to change as technology changes without a decrease in usability or a decrease in search engine optimization. We are also very aware people speak different languages. We have visitors from over 180 countries and territories. A Google translation tool (supporting 80 languages) is located at the top right-hand corner of all our web pages. This is one reason why you'll see all our links as text. On a web page, only text can be translated into another language. If a link is an image, the link can't be translated into another language. Or think of it this way. When one is using Google, one is typing in text. Search engines find web sites easier when web sites have all text and text are not images. Some Web Best Practices as seen on our site include: Focusing on easy-to-use navigation for the user, appropriate and up-to-date information, no “under construction” pages, making no wild claims, and using web technology which will least likely break down on the majority of computers being used today. In the early 2000s, Helicopter Links was created by Michael Hampson because there was no available website which provided a comprehensive list of helicopter manufacturers, tradeshows, magazines, organizations and museums. From the beginning, Hampson designed the site to be easy to navigate. As the site grew, his plan was to eventually make it a full-time business and accept advertisers. The site was first uploaded to the internet on December 8, 2002. The site has gone through two major design changes since 2002. Other small design changes are made, from time to time, primarily to keep the site as easy to use as possible. For many years, Helicopter Links listed only helicopter manufactures, helicopter trade shows & air shows, helicopter magazine, helicopter museums and helicopter organizations. As of February 2011, Hampson decided to expand the site from a 10 page web site to a 77 page web site with 70 categories (additional web pages) of helicopter companies, suppliers and services which serve the helicopter industry. Helicopter Links Twitter page officially started in March 2009 but we didn't start regularly posting on Twitter until several years later. Helicopter Links Facebook Fan Page was started in February 2011. To keep things as easy as possible for us, when generally post the same items on both Facebook and Twitter. Helicopter Links became a small business in September 2011 and that is when we started to offer the opportunity for any company servicing the helicopter industry to advertise on our website. Once Helicopter Links became a business, then it became our policy to offer every helicopter company, supplier and organization a free listing with live link. Some exceptions can occur on this offer and we reserve the right to refuse a free listing to any company, for any reason. For more information about our free listing offers, please see our free listing offer web page. The Helicopter Links logo was created by San Diego magician Tom Interval. Thank you Tom for giving up your valuable time to make our logo. Your graphic design skill is exceptional and we appreciate this. Tom is based in San Diego, California, USA, and is available locally, nationwide and worldwide for personal or corporate shows including magic instruction. For more information about Tom and to contact him for booking a professional magic show, classes or for magic consulting, please visit his website here: www.intervalmagic.com. 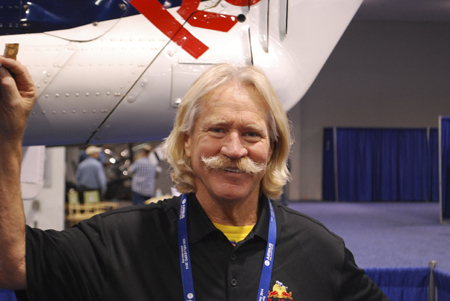 Helicopter Links met Chuck at Heli-Expo 2014 and he's a very down to earth and nice helicopter pilot. We saw him take plenty of time to talk and discuss his piloting and specially modified helicopter with many of his fans at the trade show. Nice meeting you Chuck! 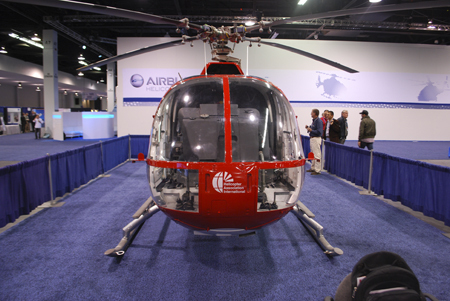 Helicopter Links took these pictures at Heli-Expo 2014. These pictures may not be copied or reproduced in any form such as print or electronic or any other future form of transmission without our permission. These pictures are copyrighted by Helicopter Links.